Sony rounds out its new W-series line of digital still cameras with two top-end models packed with powerful features — the Cyber-shot DSC-W100 and DSC-W70. 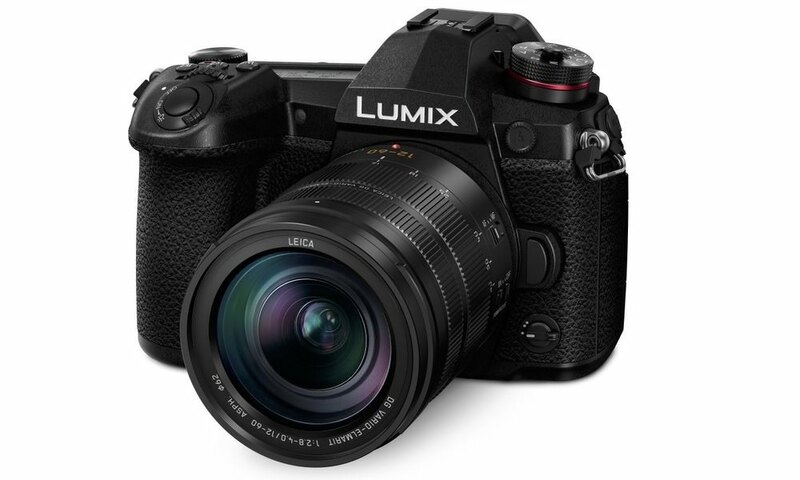 The DSC-W100 model packs in an eight-megapixel imaging sensor, and has a compact metal body with a stylized finish in black and silver. It features a manual exposure mode with extended control for up to 46 steps of adjustable shutter speeds (30 – 1/1000 sec.) and two steps of aperture control. 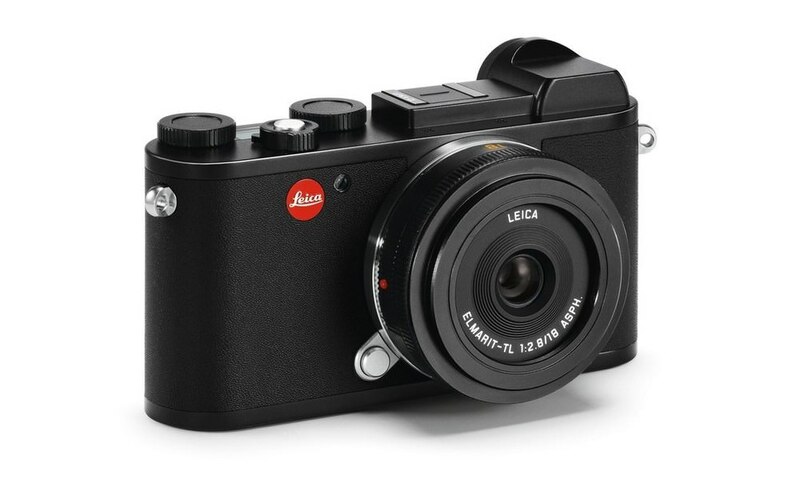 Both the DSC-W100 camera and the new seven-megapixel DSC-W70 model have an updated traditional camera style with their eye-level viewfinders and large 2.5-inch LCD screens. 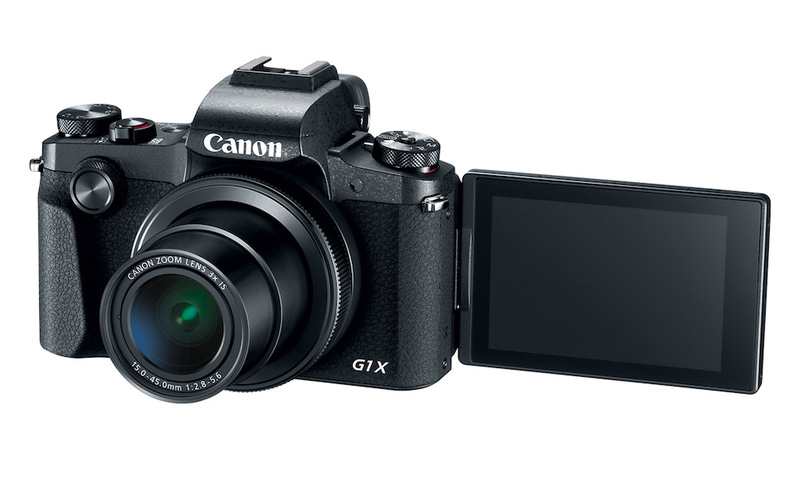 They both incorporate precision Carl Zeiss Vario-Tessar 3x optical zoom lenses; MPEG1 movie recording; high-light sensitivity settings; and a mode dial to quickly switch among photo, video, and preview. The cameras’ high light-sensitivity facilitates shooting at higher shutter speeds to capture fast-moving subjects with reduced blur. It also allows for shooting without a flash to capture more natural-looking images in low-light settings. The DSC-W70 model has a maximum ISO setting of 1000, while the DSC-W100 model extends to IS0 1250 for even greater control. 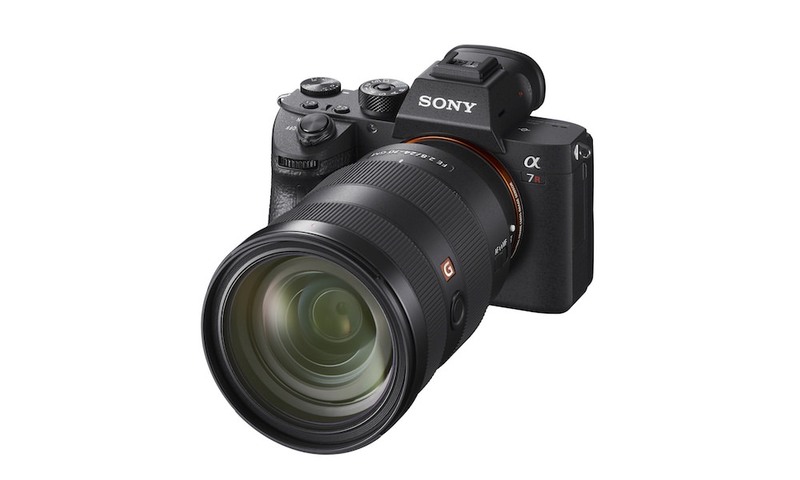 Sony’s Clear RAW imaging technology helps increase the cameras’ ISO settings and, at the same time, reduces the chances of blurry or grainy pictures by keeping picture noise to a minimum. These W-series models feature a new function guide and resolution guide. When menu icons are selected, such as a specific shooting function or scene mode, a simple text explanation is displayed on the LCD making it easier to maximize the camera’s performance. This function guide can be turned off as you become more familiar with the camera. The resolution guide is helpful when deciding on the best resolution for prints. When you select the resolution, a pop-up screen informs you of the ideal print size for that particular setting. 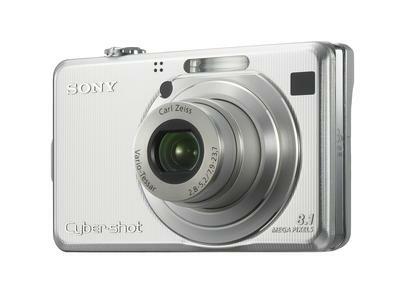 The cameras also feature auto-exposure and multi-point, auto-focus functions. Sony’s multi-point auto-focus system can intelligently focus on the subject and avoid mistakenly focusing on the background by evaluating five separate focus areas of the frame. Sony’s ultra-fast Real Imaging Processor circuit delivers quick start-up, fast shot-to-shot times, and long battery life. 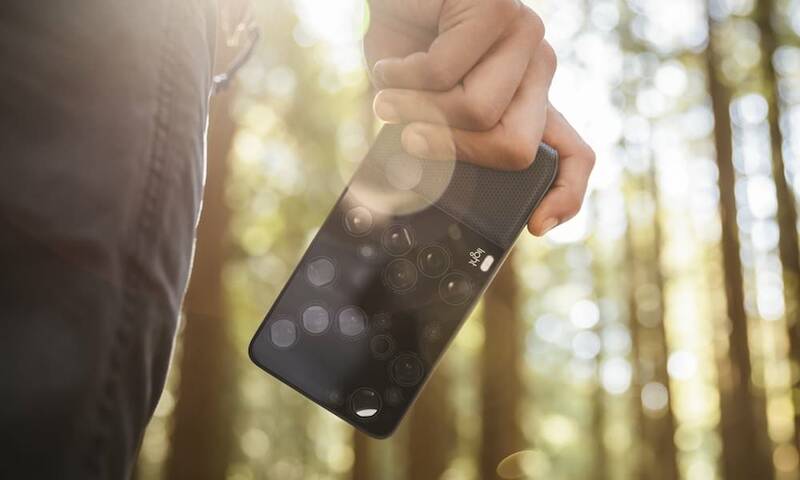 Both cameras snap up to 360 shots on a single full charge. If you leave home without your memory cards, the W100 model features 64MB of internal memory while the W70 has 58MB so that you can keep on shooting. When you are ready to expand their capacity, optional Memory Stick Duo media cards can hold up to four gigabytes of data. These high-resolution cameras are ideal for making high-quality prints. When you connect them to a Sony DPP-FP50 digital photo printer, you can create prints, postcards, or even calendars using the printer’s supplied software. With Sony’s ImageStation online photo service, you can expand your options to print tens or even hundreds of pictures, create online photo and video albums, or make customized gifts such as photo books and calendars with your own life as the creative inspiration. 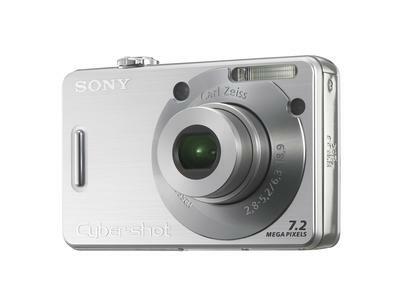 The Cyber-shot DSC-W70 camera will also be available in April for about $300. Both models are available in black and silver. 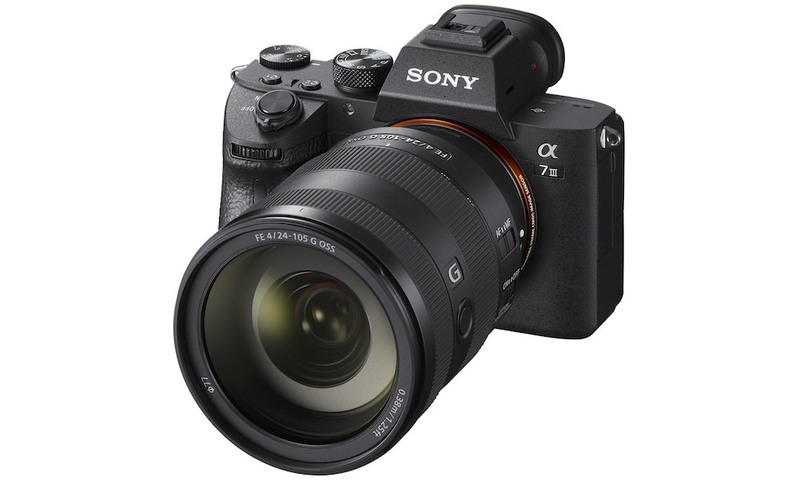 Optional accessories for the W70 include a lens adapter (VAD-WB) for about $30, a wide conversion lens (VCL-DH0730) for about $99, a tele-conversion lens (VCL-DH2630) for about $130, and a sports pack (SPK-WA) for about $100. Accessories for both the W100 and W70 include a travel charger (BC-TRG) for about $60 and a leather case (LCS-WE) for about $40.